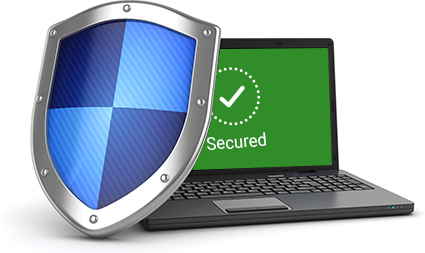 An antivirus software (popularly referred to as 'antivirus') is a program or a set of programs that detect, block and remove software viruses in particular and all malware in general (viruses, worms, Trojans, spyware, adware etc). Having an Antivirus Software installed on a computer is of vital importance. This is because any system today would get infected with malware within minutes of connecting it to the internet. Since thousands of new malware are created daily, it becomes important that antivirus programs are updated regularly as well. Scans files/directories for suspicious or malicious files/programs. Scans any specific file or a flash drive/CD on request. Detects and removes malicious codes after notifying the user and obtaining permission to clean the infected file. Updates user on the health of the system/device. Comodo antivirus tops the list among the best free antivirus programs for 2017. Most notable among its features are the Auto-Sandboxing Technology, the Default Deny Protection, Cloud Based Behavior Analysis, Cloud-Based Whitelisting, One-Click Virus Scanning etc. This cloud-based antivirus program identifies suspicious files, ensures instant malware removal, does quick and instant Cloud based scanning, instantly updates on the new and up-to-date virus definitions, has a user-friendly interface and provides automatic scanning of files as and when they are downloaded from the internet. Avira Antivirus provides improved malware blocking and also ensures good protection from phishing attacks. The Browser Safety extension helps stay away from malicious websites. Avira antivirus also comes with a host of ancillary tools, like Avira Connect (which reviews all the devices that have been associated with an Avira account online), the Phantom VPN (a full-featured virtual private network with servers in 20 countries), Avira Scout (Chrome-based secure browser), Avira Software Updater (which scans systems and looks for software with missing patches) etc. AVG Antivirus Free, which exists as an independent entity even after being acquired by Avast, has a new, excellent user interface. It also has a management and launching utility called AVG Zen which provides an overview of AVG security on all the devices that a user has. AVG provides very good malware protection and has features like the AVG Web TuneUp plug-in (which installs in browsers and offers security benefits), Shred using AVG (which helps overwrite a file's data before deleting it and thus foils attempts to recover the deleted file's data) etc. AVG does not deliver a satisfactory performance when it comes to blocking phishing attacks. Bitdefender Antivirus Free Edition is popular because of its quick and easy installation and also offers good malware blocking. Bitdefender also delivers a wonderful performance as regards detecting and blocking phishing attacks. It protects users against malicious and fraudulent websites. It's to be noted that Bitdefender Antivirus Free Edition is not anywhere near the paid version because it doesn't have those great features that make the paid version excellent. Kaspersky Free is best for non-commercial uses and is good at malware blocking. It provides real time file scanning and deals with malware automatically when they are detected. Anti-phishing protection is impressive and Kaspersky Free also has features like an on-screen keyboard to type passwords (to prevent passwords from being captured by keylogger), a free, bandwidth-limited edition of Kaspersky Secure Connection VPN etc. Malwarebytes Free Anti-Ransomware program detects and quarantines ransomware based strictly on behavior. The program is popular as it's lightweight and easy to install and use. The drawback, however, is that even before Malwarebytes detects a ransomware, it may manage to encrypt a few files.